The Johan Cruyff Institute is a powerful blend of professors, staff and partners who share a passion for educating the next generation of leaders in the sport business for the benefit of all athletes, sport partners, organizations and the students themselves. 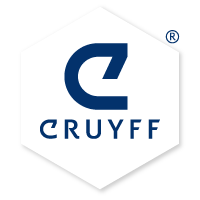 According to Johan Cruyff: “My vision on sport management is quite simple. I think people with a passion for sport are the best to lead sport organizations”. At the Johan Cruyff Institute we know that a passion for sport also drives education and development. Our students, from elite athletes to sport and business professionals, have one common goal: to become the next generation of leaders in sport management. More than 6.500 students all over the world have experienced our online, onsite and on campus learning programs in Sport Management, Sport Marketing, Sport Sponsorship, Coaching and Football Business. They are the next generation of leaders ready to manage sport organizations all over the globe. Our international presence now represents 5 Johan Cruyff Institutes (postgraduate and executive education), 3 Johan Cruyff Academies (graduate education) and 5 Johan Cruyff Colleges (vocational training).